This weekend was something of a whirlwind. A blur, if you will. 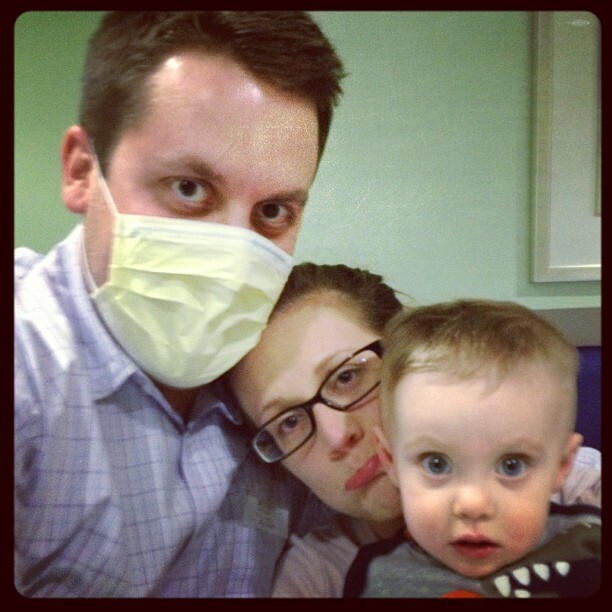 It was our first family illness. It started on Thanksgiving when, out of nowhere, LM got a bad case of “the big D”. He’s had it before and I assumed I would treat is as I did the first time. This is how he spent his first Thanksgiving. Once we got home, we gave him a much needed bath and gave him his last bottle for the day. Before he finished, he threw it all up. You’d never know he was sick because he gave Daddy a big smile once he was done! We called the 24/7 nurse line and were told to give him Pedialite and such. My poor husband went out to get it at Walmart. Black Friday, anyone? Actual photo he took while there! We stayed home the next day, just recovering and all that good stuff. Well, cut to later that night….mommy and daddy are feeling the bug. Turns out we weren’t the only ones. A total of 8 of us got it! Saturday seemed to turn a corner for us all, just feeling yucky and laying low. Not so for our sweet little boy. “The big D” stayed with him through Sunday. A couple more spew episodes and another advice nurse call landed us in the Scottish Rite emergency room. Pretty sure I cried most of the way there. We have to most wonderful family though, both sets of grandparents met us there! Apparently there is a virus going around and the children’s hospital was running out of stuff from so many cases. All good news though, he wasn’t too dehydrated so he didn’t need an IV. Just liquids and a little nausea medicine. You would never know he didn’t feel good! The past four days have been nothing short of exhausting and I am ready to get out of the house and teach tonight! 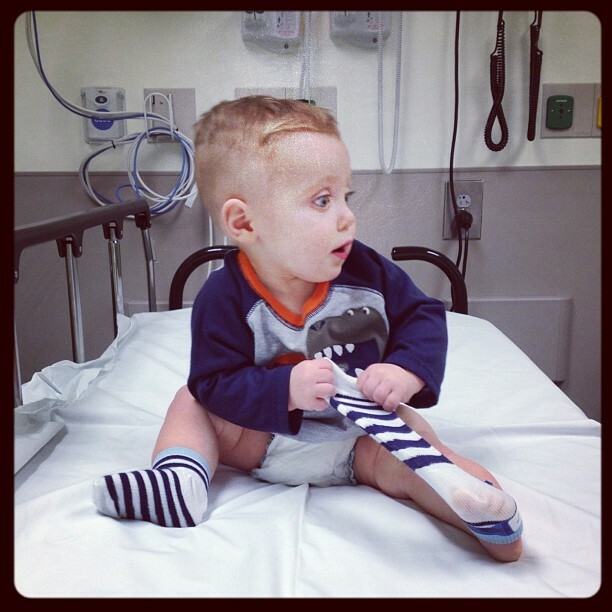 Today I am thankful my little man (as well as the rest of my family) is on the mend!